We've got a very soft and subtle color combo for you this week. 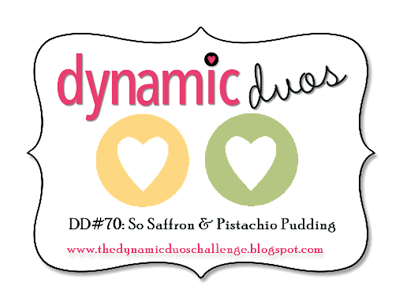 Take a look at Dynamic Duos #70 and I think you'll agree! I decided to add a couple of neutrals to my card this week. So here's what I created. I used another of my new Memory Box dies today. I love the detail in their dies! As you can see, I used 2 layers of the peony backgound, then adhered the outline die to the top. The leaves are stamped, as is the background. 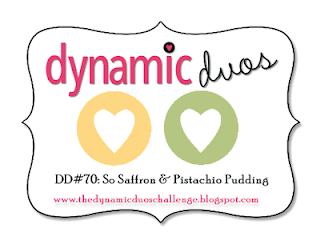 I hope you'll play along with me and my awesomely talented team mates at Dynamic Duos this week. I can't wait to see what all of you create! That flower is gorgeous and the little fence too that makes this card look so elegant! I love how you have all the layers of the flower! Very pretty! I love your new Memory Box die, what a gorgeous and elegant flower!